News just in: Something exciting is happening in Liverpool this week! 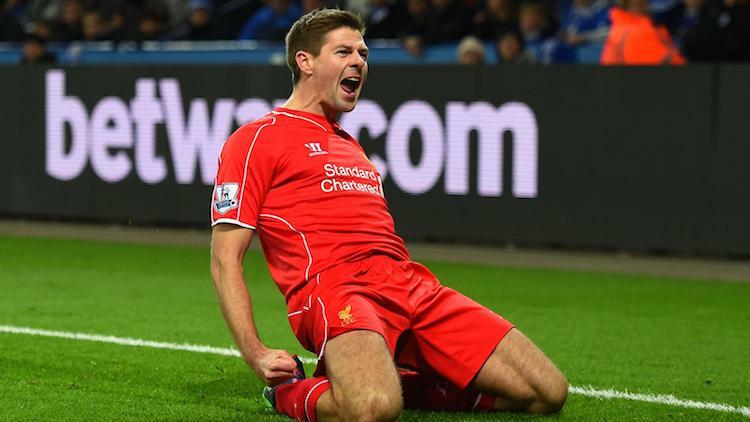 It doesn’t matter if you are Red or Blue you still gotta have respect for Steven Gerrard! Affectionately referred to as Stevie G, the Liverpool ‘Captain Fantastic’ has previously announced that after 27 years at Liverpool Football Club he is set to leave Anfield to begin a new path with LA Galaxy. Many fans are sad to see Stevie G go but also want to wish him well on his journey as he is truly an inspirational advocate for the sport and has fostered many fond memories for fans. The Liverpool Echo have covered Steven Gerrard’s stellar career with Liverpool from the beginning and wanted to give fans the chance to let Stevie G know how they feel about his legendary residency at Liverpool FC and to say thanks for his service to the club and the game in general. 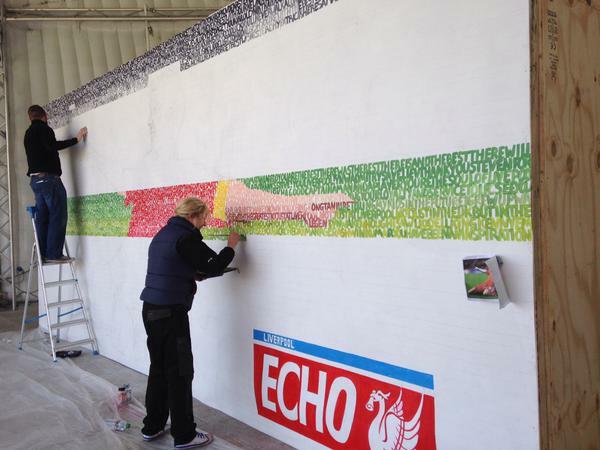 Our team at Street Advertising Services know exactly how to capture the thoughts and feelings of a nation and suggested creating a bespoke message wall as tribute to the Liverpool legend. 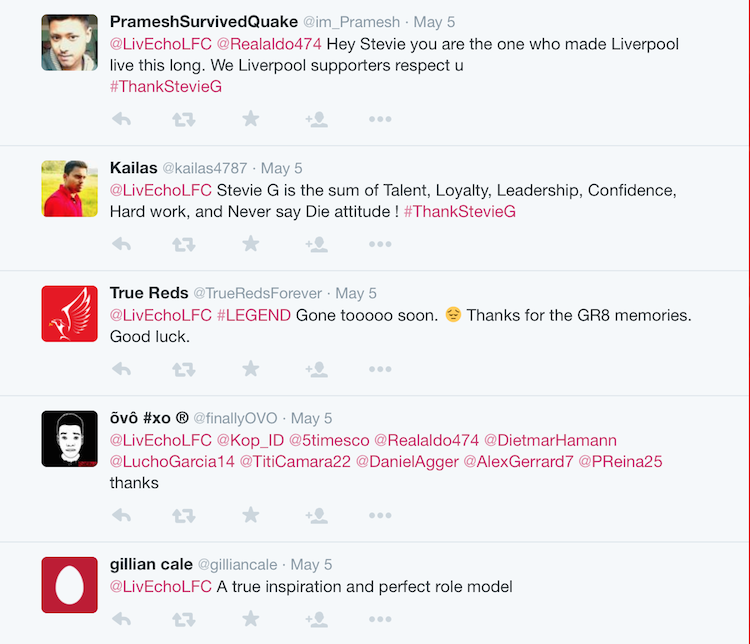 With that said the #ThankStevieG hashtag was born and messages starting rolling in from not only the UK but all over the world! The reach of this campaign just shows the influence of a man like Steven Gerrard and how he has used his position to create positivity and unity amongst football fans from in the UK all the way over to Indonesia and though to Japan! On Sunday we installed a 8m x 4m Gerrard Wall in Chavasse Park LiverpoolOne and our artists started live painting hundreds of heart felt messages onto the canvas. 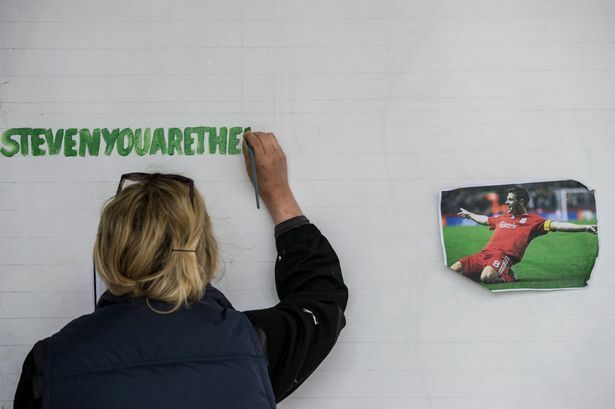 Throughout the course of the week you can watch the Gerrard Wall transform from a blank canvas to a bespoke piece of art made up of the memories and thank you’s contributed by fans worldwide. You can admire the art in its entirety from a distance and enjoy what it is made up of up close. This is a memorable and meaningful way to make a statement and showcase your brand. Day one and this campaign has exploded in the media with retweets from BBC Merseyside and online marketing specialists. Check out a similar campaign we did for MyJourney Southampton earlier this year here. 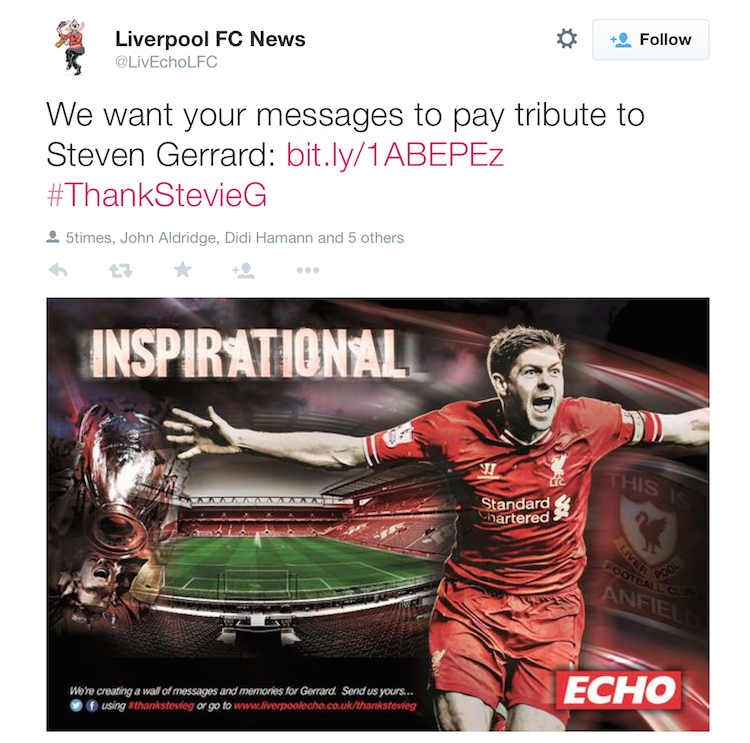 This was a very successful campaign and like the Gerrard Wall uses social media as the wind in its sails. 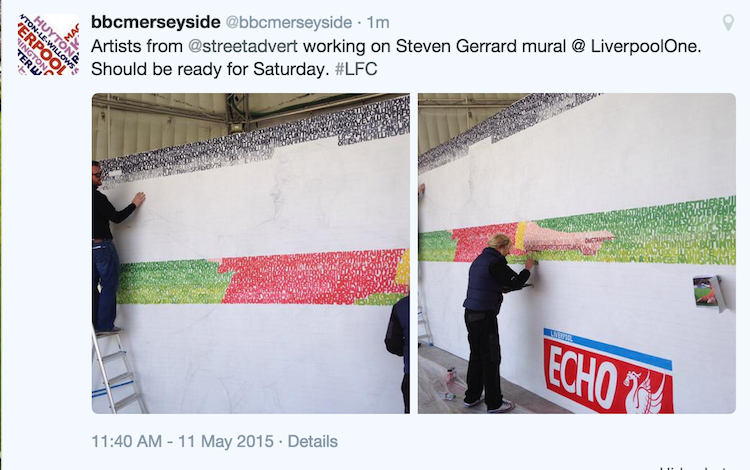 Check back later this week to see how the Gerrard Wall is progressing. Follow us on Twitter and like us on Facebook for the latest! You think that a message wall could help you to engage with your customers!? Well get in touch here and we can have a chat about how our team at Street Advertising Services can help you to tell your story in an experiential way!